On the third day of Computex 2016, we were invited to the GIGABYTE VIP Showroom up on the 36th floor of Taipei 101. Part of their VIP Showroom was dedicated to AORUS, their premium, gaming brand. Let’s show you what’s new in the AORUS Computex 2016 showcase! In this video, Cyril Largent, GIGABYTE Senior Marketing – Europe, gives us an overview of the new technologies that will be introduced into new and upcoming AORUS gaming laptops. Check them out! After AORUS introduced their individual key backlit keyboard at CES 2016 earlier this year, they received a lot of requests to add RGB colour functionality to that keyboard. During Computex 2016, they introduced the AORUS RGB Fusion Keyboard with individual RGB backlit keys! 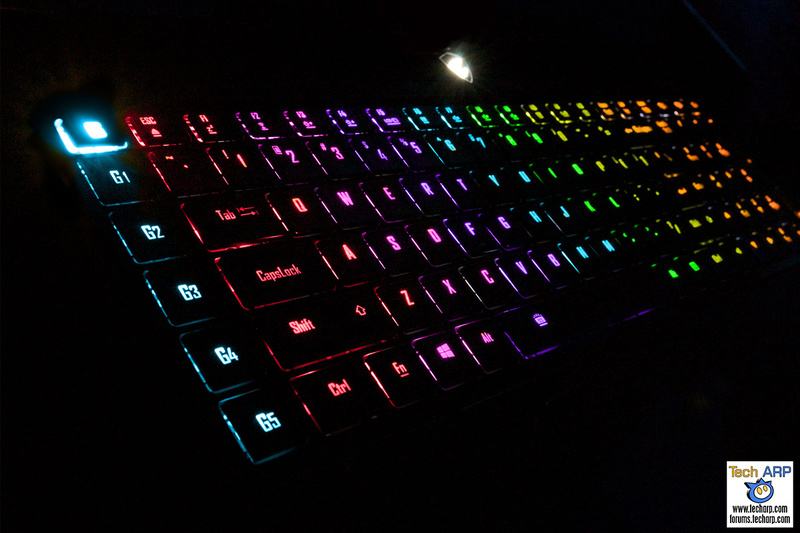 The new RGB Fusion Keyboard features per-key backlighting, with up to 16.8 million colour variations. Because there is a dedicated LED behind each key, you can customise the keyboard to light up only certain keys. You can also create animated illumination patterns, like breathing, waves or ripple effects. The new RGB Fusion Keyboard will be introduced in the next-generation of AORUS X5 and X7 gaming laptops. AORUS won the 2016 Computex Design and Innovation Award for the new AORUS X7 DT gaming laptop. The AORUS X7 DT is powered by an overclocked 6th Generation Intel Core i7 processor, and a desktop-class GPU – the NVIDIA GeForce GTX 980. Yet it is just an inch thick and weighs only 3.2 kg. 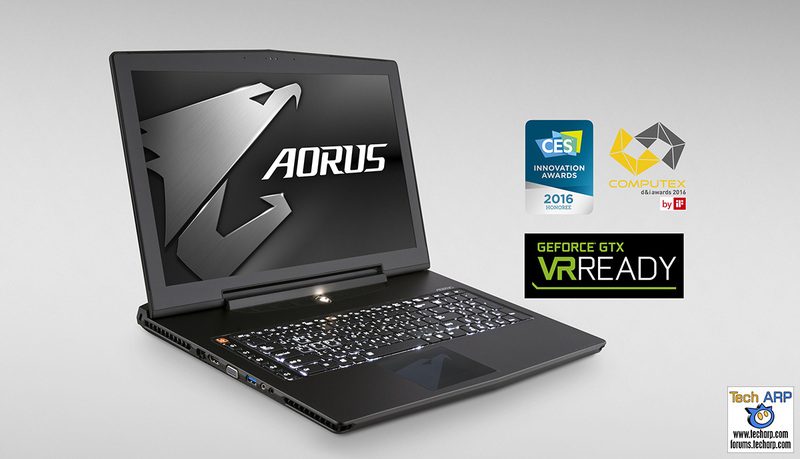 The AORUS X7 DT also claims to be the thinnest and lightest VR-Ready gaming laptop. In fact, it is the only laptop to win the “Gaming & Virtual Reality” category of the 2016 CES Innovation Awards. 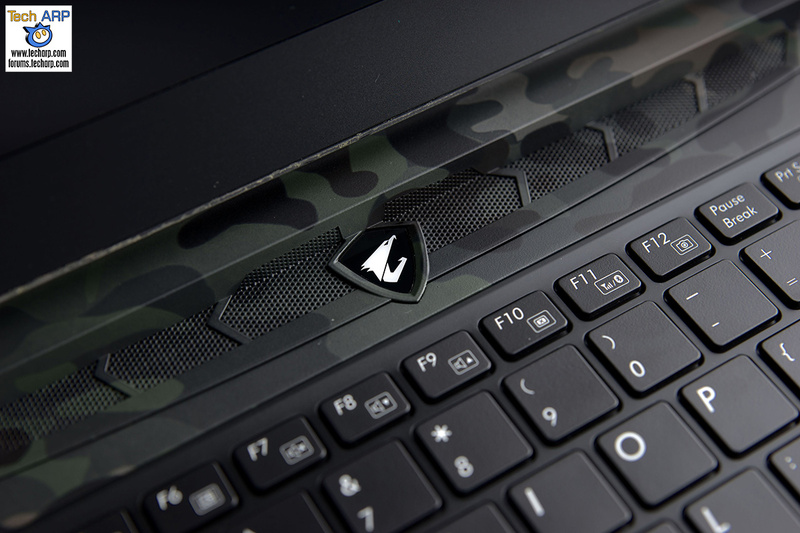 The 2016 Limited Edition MultiCam design is an AORUS trademark style, offering a military-style look that is subtle enough to look sophisticated. This year, they will make the Limited Edition MultiCam Design available worldwide on the AORUS X3, X5 and X7 models. AORUS will be making their Hardware Live Stream Engine part of their AORUS X5 and X7 models. This fully-integrated video encoder card eliminates the fuss of connecting an external compressor to record and stream your full HD video simultaneously without compromising system performance. The AORUS X5 and X7 gaming laptops will also come with a 1-year Premium subscription to both XSplit Gamecaster and Broadcaster, allowing you to record, edit, and stream anytime, anywhere.